Have you ever had really, really good black beans and thought, this can’t be that hard? This recipe is inspired by one of my favorite sandwhich shops in Fremont, Paseos. While mine are not the same, they do come out pretty darn good! I think I’ll try these later this week with huevos rancheros… Pictures to come. Half one of the onions and add to the pot. Peel 4 garlic cloves and add them whole. Add a couple dashes of salt. Add about 1/4 of the reserved liquid and then all the beans. Add more liquid if needed so that beans are covered by an exra inch of liquid. Salt to taste. 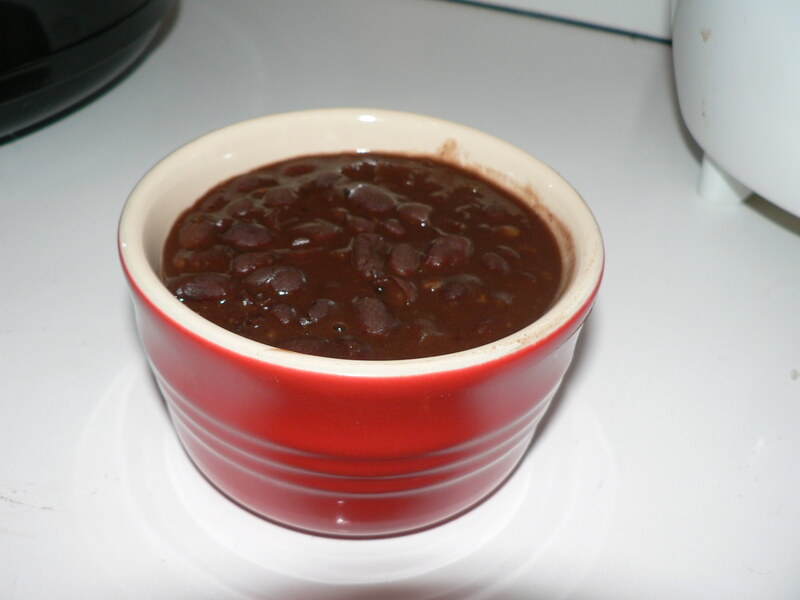 Transfer to crock pot, add extra liquid so that beans are covered by 1 inch of liquid.